For in-store consumers, the myriad of signs and labels makes shopping complex and inefficient. Shelf Alive!™ provides for the consumer’s need of health and safety with value and shorter shopping trips. For retailers, Shelf Alive!™ provides the best store layout and shopper engagement. For brands, Shelf Alive!™ provides effective measurements of the monies they spend. Where shoppers go and (of equal importance) where they choose not to go, is very critical information for each retailer and their brand partners. In addition, how much time they spend making purchase decisions at the shelf represents new information that will enable retailers and brand partners to make better decisions as they engage shoppers. 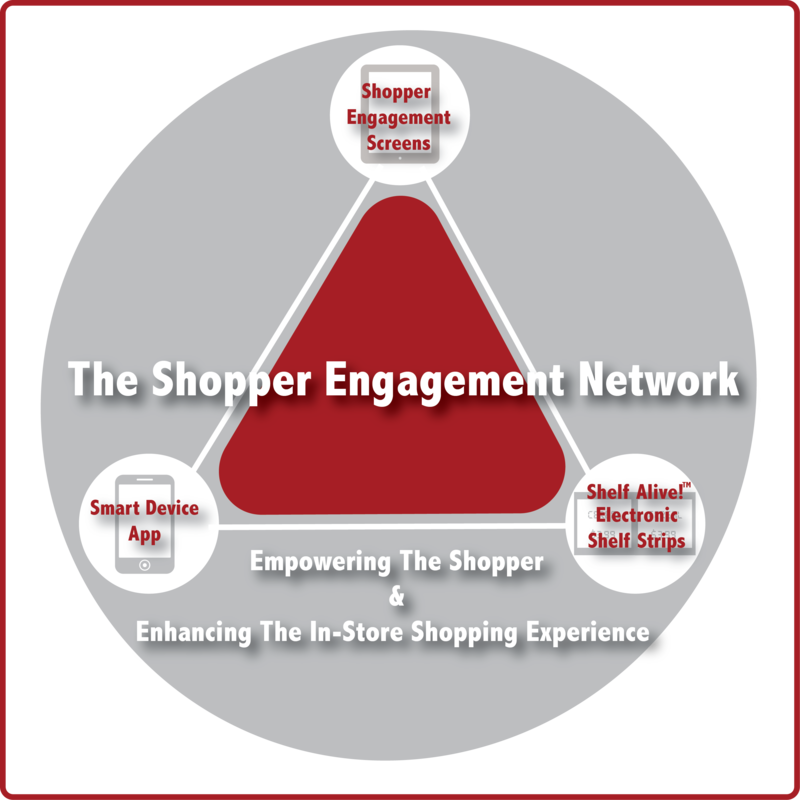 The Shelf Alive!™ Shopper Engagement Network leverages several technologies to measure time spent and map where shoppers travel in-store during their trip. All of this is done with the shopper’s permission. This shopper behavioral information will provide the retailer and their brand partners key information such as shopper exposure to end cap displays, special departments, and new items on the shelf, among many other metrics. 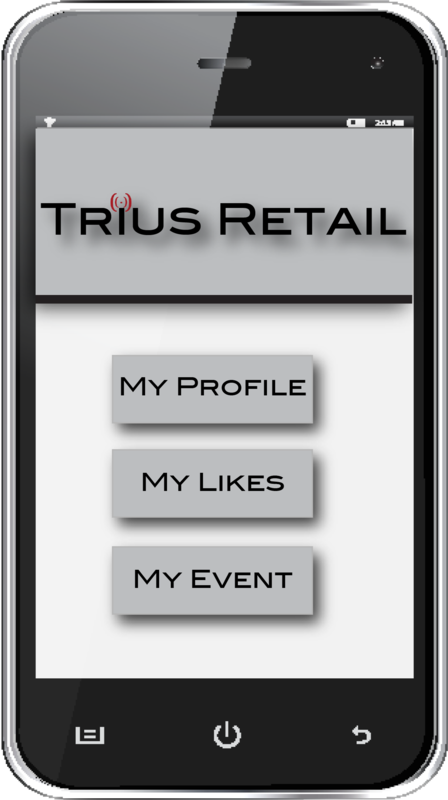 Tapping the latest iBeacon and encrypted Wi-Fi mesh technology, shoppers that opt-in will receive instant information both on their smart device and under each item that meets their profile via the Electronic Shelf Strips. The Shelf Alive!™ technologies that measure promotions, advertising effectiveness, and communicate with shoppers provides an ongoing research resource. In fact, the technology enables retailers and their brand partners to better understand where shoppers are going, how long they dwell, as well as the direction and speed in which they are moving. 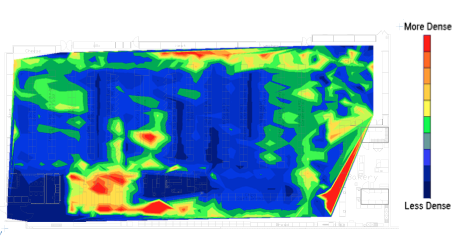 From multiple data sources, the Shelf Alive!™ platform provides retailers and brand partners with effective measurements that allows them to adjust and merchandise categories and products throughout the store, while optimizing placements and configurations to enhance sales and shopper satisfaction.